Men's Quality Hand Crafted Short Sleeve Camp Shirt in Day of the Dead Cards 100% cotton print featuring numbered cards with skeletons in their working gear on a black background. Multi color buttons. Contrasting floral print under collar and collar band. Size Large. Check out our other prints available in this shirt style. Vivid Alexander Henry fabric print.Barrio Threads men's shirts are available in loose fit or slim fit shaping and are made of 100% cotton. We feature happy, bright, attractive, attention getting prints designed in the USA. Our shirts are sewn on vintage Singer 201 sewing machines in the Southwest USA. All buttons are sewn on by hand. Each shirt has a double yoke, collar and collar stand, breast pocket, clean flat felled seams, and shirt tail hemline. 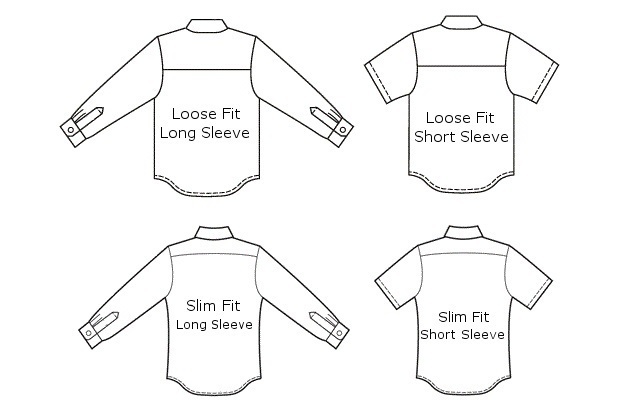 Long sleeves have a cuff and placket. Short sleeve shirts have a hemmed sleeve. We match our prints down the center front and at the pocket. Machine Washable. Iron only if you like doing that kind of thing. Welcome to Barrio Threads at Hatshadows. Apparel and accessories hand crafted in the American Southwest and sewn on vintage Singer 201 sewing machines using the brightest and most exciting all cotton prints designed in the USA.